Welcome to City of Hubbard! Our city is defined less by boundaries on a map than by the sense of shared values our residents hold dear. We take pride in maintaining a wholesome lifestyle, rich in cultural history, along with a deep commitment to the preservation of our environment and a progressive approach to local business. 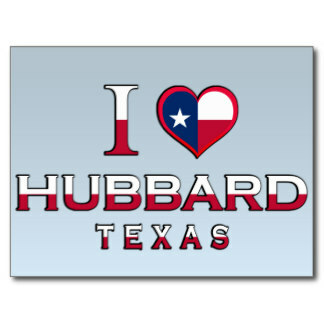 Hubbard is a bedroom community without the sacrifice. Centrally located on Hwy 31 and Hwy 171 give Hubbard Citizens the opportunity to live in a smaller community with a great school district and still be able to work in larger communities with industry. City of Waco is a straight shot on Hwy 31 with Interstate 35 within 30 or 35 minutes. Cities of Hillsboro, Mexia, and Corsicana are all within that same time frame. Many options for a family to choose from and still be able to live within the safety of a community that believes it takes a village to raise a family.